You’ve come to this guide because you have 50k that you’re willing to invest. Perhaps you’ve come into an inheritance, or maybe this is money you’ve saved up or won. Regardless, the property market is always the best place to be with this amount of money. Why? 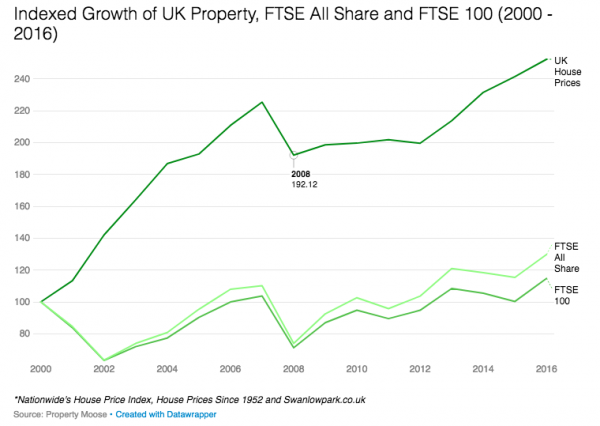 Because as the data shows in the graphs here, the property market goes up in value at a far greater and more consistent rate than something like stocks and shares. In this post, you will see the best way to invest your money and get a good return out of it. A lot of people make big mistakes when investing in property, which results in significant losses. To avoid this, pay attention to the advice in this blog. When you have 50k in the bank it can be easy to go out and look for either; a property cheap enough to buy in cash, or a property with a down payment of 50k for the mortgage. Immediately, this is the first wrong decision you can make. If you put all your money into one property, you essentially put all your eggs in one basket. If that property isn’t making you enough cash, then you’re kind of screwed for the time being. Instead, you should split your 50k and use it to put down payments down on mortgages for more than one property. With this amount of cash, you can probably squeeze two mortgages out of it. Now, you have two different properties to make money from. If one goes through a slow period and doesn’t make much cash, then the other might do twice as well to make up for it. The best thing you can do with your money is to turn to the buy-to-let market. This is the easiest way of using your 50k to get a good return on the investment. Charge people to rent your property and you will have a regular source of income every month. 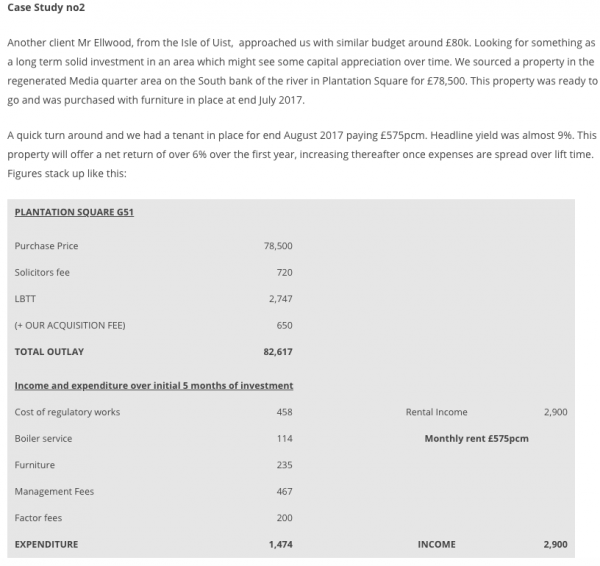 If you look at the case studies here, then you will see clear examples of how buy-to-let investments create a good source of income. As such, you can use this income to build up more money to then invest in more properties and diversify your assets even further. It’s far easier to invest in buy-to-let properties with 50k than it is to invest in properties to flip for a profit. Clearly, you should also focus on properties that will fetch a decent rental income for you as well. This means doing plenty of research into where the best buy-to-let properties are, which tends to be in parts of the country where people are more likely to rent than buy. As an example, inner city areas are hotbeds for rental properties, as are cities/towns with high house prices. The final thing to remember is that you’re always looking for ways to grow your investments. Sometimes, this might mean selling one property and using the money to buy two more. If the property you own has increased in value to the point where you can sell it for a profit, then it may be worth doing so and using the funds to secure two more properties. Thus, your portfolio will grow. In summary; the best way to invest 50k in property is to dip into the buy-to-let market and put money down on more than one property.